Does a great job of building the spooky atmosphere, and keeps the tension ramped up. I never felt terrified nor did this film rely on typical gore or jump scares, which makes it a breath of fresh air. I enjoyed the "New England folk story" atmosphere. Screaming was grating. Fav scene: kids overhearing parents. Succession d'images plus ou moins glauques sans se soucier d'une quelconque cohérence, c'est un film d'horreur d'auteur donc les (faux)cinéphiles apprécieront. Le film permet au moins de révéler l'excellente Anya Taylor-Joy. Well shot, well acted. I just couldn't get into it. I don't have an issue with accents really ever and I had trouble understanding things. But casting 'finchey' as the dad actually broke my immersion repeatedly somehow. Humble family enjoys seasonal retreat as part of their Game of Thrones consolation prize but unfortunately forget to check themselves before they VVriggity VVreck themselves. Soon the poor bastards are up to their hat buckles in bedevilment with no Jesus in sight and the only upwards mobility involves a freaky pimp/ho contract with a Skyrim NPC. As the Daygo kids say, "Haggard, brah". 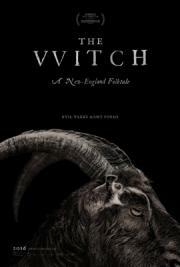 The greatest thing The Witch has to offer is its atmosphere; the set design, costumes, lighting, and the music are all magnificent and create a very authentic 1600's environment. To me, the movie works better as a drama or allegory than it does as a horror film. The actual witch scenes are all disturbing and some other moments can be creepy, but there's also a lot of empty space. The way it tackles religion, given its setting, is well done, but a bit lacking in some respects. Overall, good. Definitely one of the more unsettling horror films of the past decade, but where it builds effective tension, it doesn't always release it in a way that is satisfying. I loved the creepy imagery and the paranoia, and how it was effective in building tension - legit scaring me - but those scenes seldom ended in a way that capitalized on it. Just shy of a classic, and more of an awesome film.